Ellipse makes it easy to see the correlation between two different body dimensions and to determine the consequences for related product dimensions. Save multiple analyses online for reference or to work on at a later time. Your current analysis is always saved. Download images of your analyses for inclusion in your documents. SVG images allow you to further edit them. You can select from a variety of populations and measures. Each with a description and clear availability information. 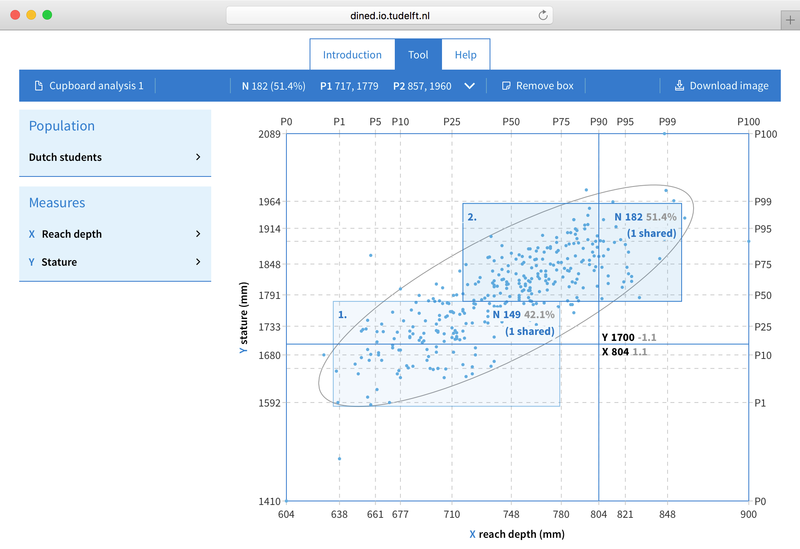 The interactive scatter plot shows the covariance error ellipse and allows you to draw boxes to quickly determine what percentage of the population fit certain dimensions. Your analysis will be saved on this computer. To save multiple analyses or access them elsewhere you need to Sign in or Sign up. Select a population and two measures to plot.